As the warm and dry weather of summer approaches, we all get excited about going out to play in the splitter weather. However, along with the blue skies comes the increased likelihood of forest fires...and for most of us, the idea of a forest fire in the areas we frequent turns our stomachs. Forest Fires often ravage the areas we care for, leaving them desolate waste lands in which the native flora and fauna are devastated, rural houses are destroyed and our access to the mountains is blocked. The list of the cons to forest fires seems daunting, especially the list of cons for those fires which are responsible for the loss of property, or even worse the loss of human life...but surprisingly, some wildland fires can actually be beneficial, especially the smaller ground fires which do not ravage the entire forest. Forest fires can help stimulate the new growth and germination of many different plant species. For brevity, we'll look specifically at one type of plant that is affected positively by wildfires, the sequoia tree. Sequoia trees in Sequoia National Park need forest fires to help them reproduce. When a fire moves through, the heat dries out the cones up high in the canopy, which causes the seeds to release and fall to the ground. In addition to this, the fires clear out the lower vegetation that would otherwise block the light and compete for nutrients with the sequoia seedlings. Without these fires, the great sequoias and other plants that need fires to aid in germination would not be able to successfully repopulate. In the same way that wildland fires clear out brush and smaller trees to help the sequoia seeds get the nutrients they need, fires can also “reset” the vegetation for an area. Aggressive plants often choke out slower growing plant-life. When the existing vegetation is burned-up, the competition is limited and this promotes more diversity of plant-life on the forest floor. In addition to aiding in the life cycle process of some vegetation and vegetation diversity, forest fires are also efficient in pest eradication and pest population control. This has a positive affect on a number of forest trees and plants that are adversely affected by these pests. Certainly, some fires are bad. Some fires completely devastate everything in their path. And while these large fires have some benefits, it's more common for the smaller ground fires to provide the most benefit. Indeed, part of the reason that some fires are so large, is because there haven't been enough of these smaller fires to clear out the debris on the forest floor; the debris that when stacked-up can create a real tinderbox. This is part of the reason that some National Parks and National Forests have taken to setting controlled burns. By doing this they are helping manage some of that debris on the forest floor while providing the positive benefits of a small ground-fire. So while none of us want a forest fire in any of the wilderness areas that we visit regularly, it is good to know that when they do affect these areas, they're not all bad. To keep up with the forest fires in your area, click here. 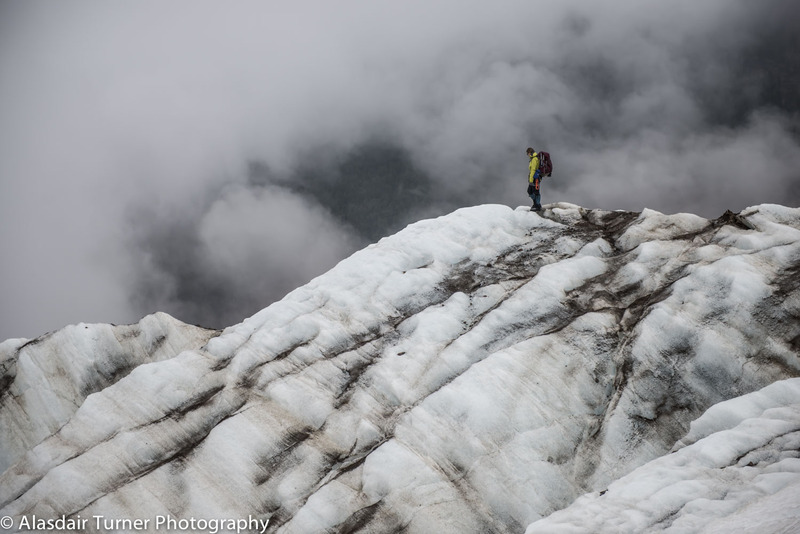 --A man who apparently died while climbing Mount Rainier had a passion for climbing and the outdoors, his father said. Searchers on Saturday recovered a body believed to be that of 25-year-old Kyle Bufis, of Springdale, Utah. 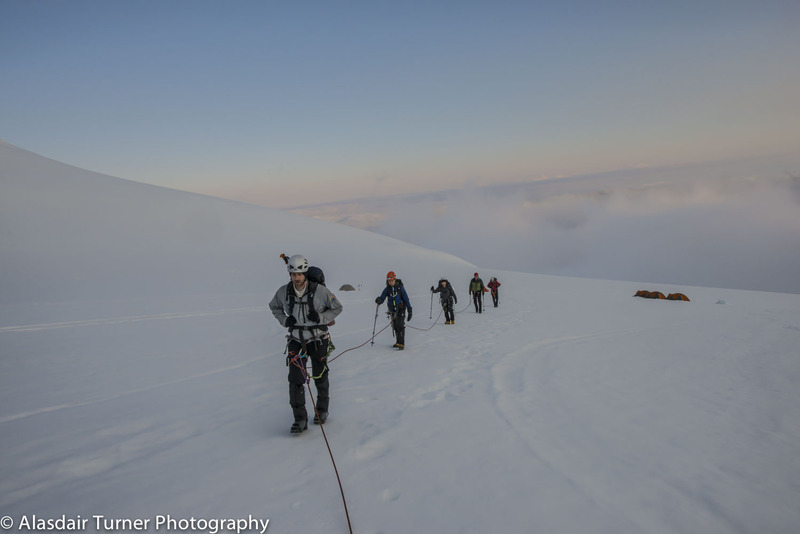 A helicopter had spotted the body of a deceased male climber near the summit. To read more, click here. --A 57 year old man from San Carlos, Calif., died after he fell while climbing Mt. Shasta Thursday, June 11. The Siskiyou County Sheriff’s Office reported today, June 15, that it responded to a search and rescue call at about 6:22 a.m. Thursday. To read more, click here. --There was another broken leg on Mt. Hood this week. 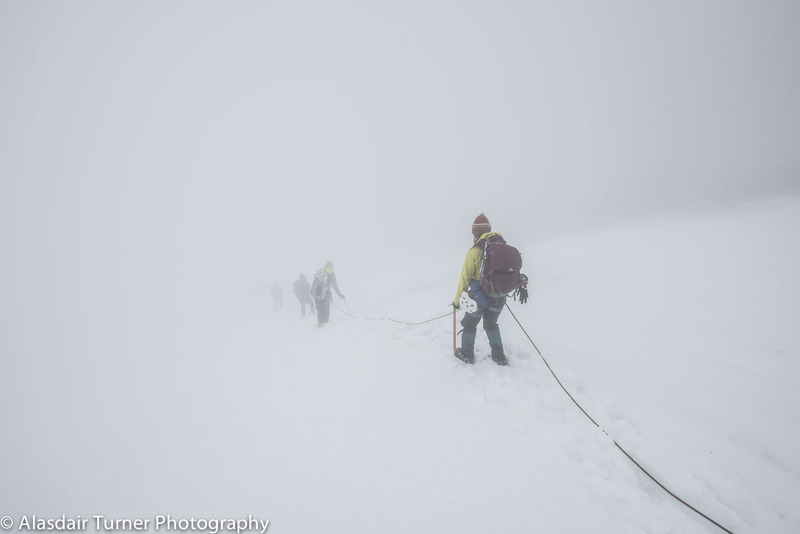 A boulder hit a 27-year old female climber and broke her leg. To read about the incident, click here. 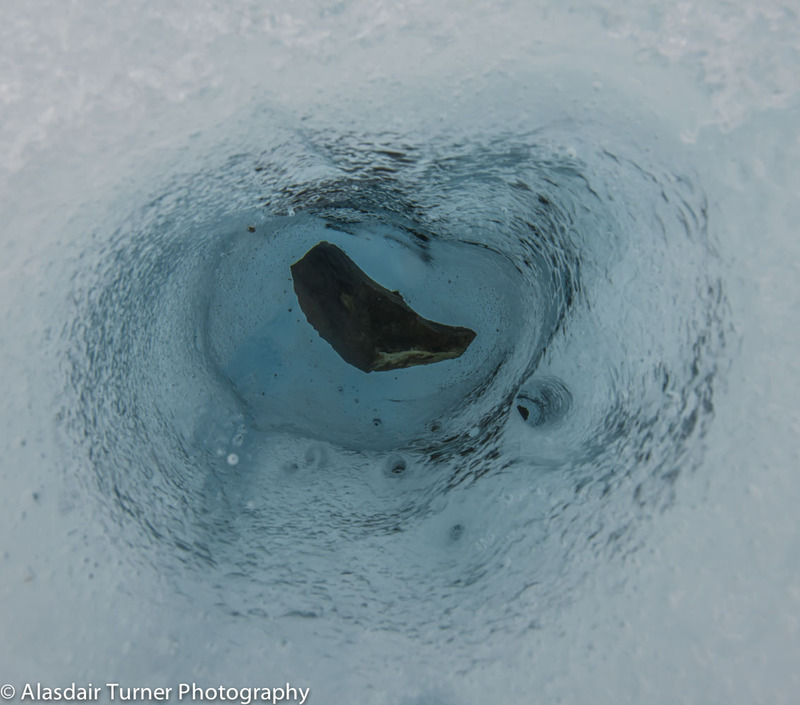 --A 41-year-old climber has been hospitalized after falling in an area above Colchuck Lake in the Alpine Lakes Wilderness. The Chelan County sheriff's office says a rescue helicopter from Naval Air Base Whidbey Island hoisted James Adkins from the area around 1 a.m. Monday. To read more, click here. --They've done it again! A group of ultrarunners lead by Bellingham resident, Daniel Probst have run from Bellingham Bay to the top of Mount Baker and back in a forty hour push. To read more, click here. --The National Park Service (NPS) and U.S. Fish and Wildlife Service (FWS) have released the report analyzing public comments received during the first phase of an environmental impact statement (EIS) for grizzly bear restoration in the North Cascades ecosystem. The EIS is a three-year process to determine a range of actions that could be taken to restore grizzly bears to the North Cascades ecosystem, a 9,800 square-mile area of largely federal lands in north central Washington state. FWS listed the grizzly bear as a threatened species in the lower 48 United States in 1975. The species was listed as endangered by the state of Washington in 1980. The EIS is being developed jointly by the FWS, which administers the Endangered Species Act, and the NPS. The U.S. Forest Service and the Washington Department of Fish and Wildlife are cooperating agencies in the process. To read more, click here. --There will be an Adopt-a-Crag event at Exit 38 on June 20th. To read more, click here. --The public got a sneak peak at six areas in the White and Sierra Nevada mountains that may be recommended as Wilderness areas Tuesday evening at the Inyo National Forest offices in Bishop. To read more, click here. --It appears that the Access Fund is trying to buy land near Donner Summit. To read more, click here. --Global climate change is having a serious impact on the Joshua Trees in Joshua Tree National Park. To read more, click here. --If you’ve paid any attention to the snowpack across the western United States this spring, it’s probably pretty obvious that the Pacific Northwest and California have no snow, while Colorado continues to get pounded on. The influx of precipitation would have been perfect for ski resorts in January, rather than when they began to close down in mid-April. To read more, click here. 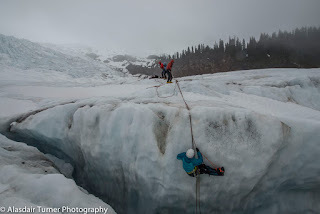 --AAI teams are spread all over Denali. To get the most recent updates, check out our dispatch blog! 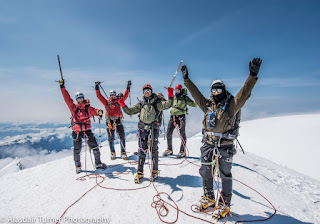 --Alaska says Denali, Ohio says McKinley...What in the world is a congress to do...? Find out, here. 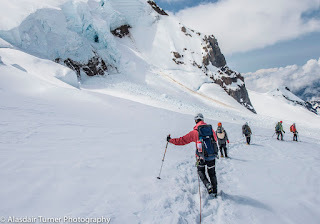 --In late May, Erik Bonnett and Max Fisher climbed two new routes on the border of southeast Alaska and British Columbia in the Coast Mountains. To read more, click here. 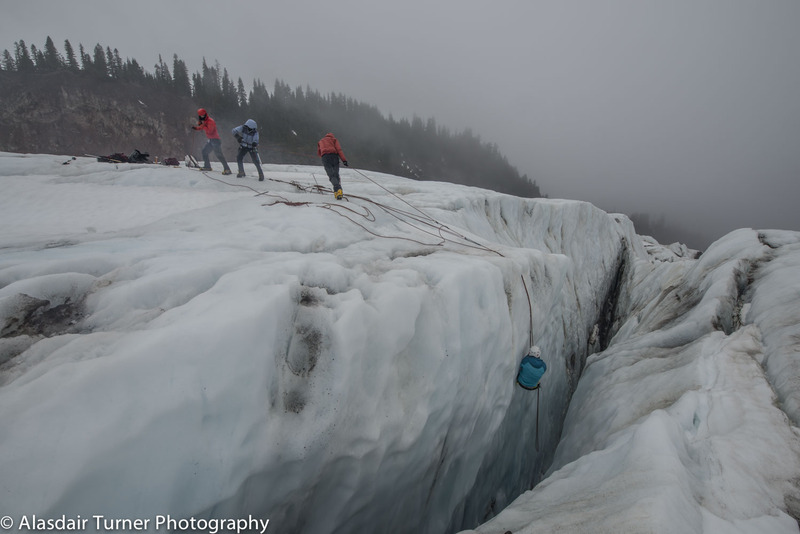 --Three climbers who were attempting the East Ridge of Mount Logan are safe in Haines Junction after being rescued. To read more, click here. --The Salt Lake Tribune posted a cool infographic on where NPS visitors are being rescued. To see it, click here. In the following video, former AAI Guide and AMGA Instructor Team Member, Angela Hawse demonstrates several techniques for the creation of a three-piece "pre-equalized" anchor. The anchor is pre-equalized because of the fact that the knots in the system will only allow for equalization in one direction. 1) Create a high master point. 2) There are multiple ways to create equalization. 3) Strong anchors are mandatory. Your life depends on it. The video did not talk about placement quality. If you have concerns about the quality of a piece of gear, replace it, or add another piece to the system. 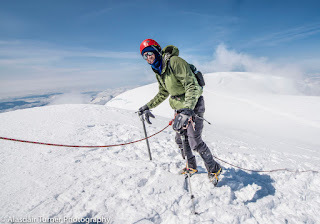 --A 66-year-old Idaho climber who died on Mount Hoodlast week suffered blunt-force chest trauma in a fall, according to autopsy results released Monday. Ward Milo Maxfield of Paul, Idaho, was injured Thursday when he tumbled an estimated 400 feet while climbing the Hogsback route. To read more, click here. --The drought had a major impact on some of Tahoe's biggest ski resorts last winter. According to the latest earnings report released by Vail Resorts, Tahoe area ski areas Heavenly Mountain, Northstar California, and Kirkwood mountain collectively saw a 33.1 percent drop in skier vists for three months ended April 30, compared to the same period last year. To read more, click here. --A hiker who died near Shepherd Pass was recovered this week. To read more, click here. --The Search and Rescue Ropes Team in Iron County responded to a popular hiking destination just outside of Cedar City Monday evening after receiving a frantic call for help. Police say that when they arrived they learned that a 19-year-old man was rock climbing with friends when he fell about 30 feet. To read more, click here. --The Las Vegas Valley added two new rock climbing gyms in the past nine months, doubling the number of local indoor climbing centers and signaling increased interest in a sport helped by Red Rock Canyon’s popularity. Origin Climbing &Fitness, which holds a grand opening at its Henderson facility June 20, joins Refuge Climbing & Fitness, which opened on Valley View Boulevard in October as the new kids on the climbing block. To read more, click here. --Sales of Epic Passes have reached record levels for Vail Resorts, enabling the Colorado-based resort company to withstand a decline in visitation and dry winter conditions at its ski resorts in California and Utah. Lift revenue at Vail's nine U.S. mountain resorts climbed 13.2 percent to $285.2 million for the three months through April, driven largely by a 21 percent increase in season pass sales for the company's third quarter. Pass sales through May 26 for the 2015-16 ski season were up 12 percent in units and 20 percent in dollars when compared with the same period in 2014. To read more, click here. 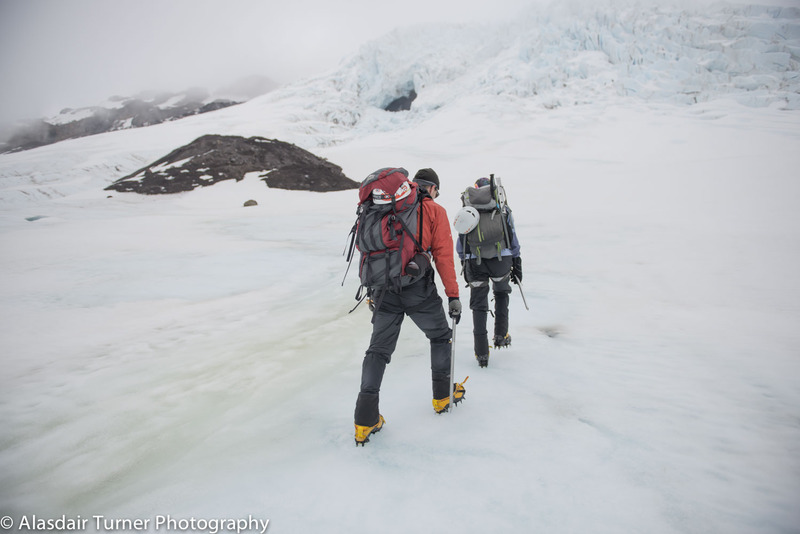 --AAI Denali Team 4 is currently on their way down the mountain. 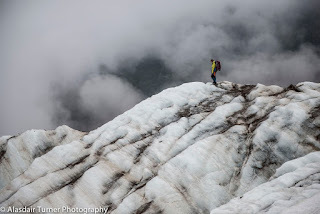 AAI Team 5 is at high camp and AAI Team 6 is at Camp 1. To read more dispatches, click here. 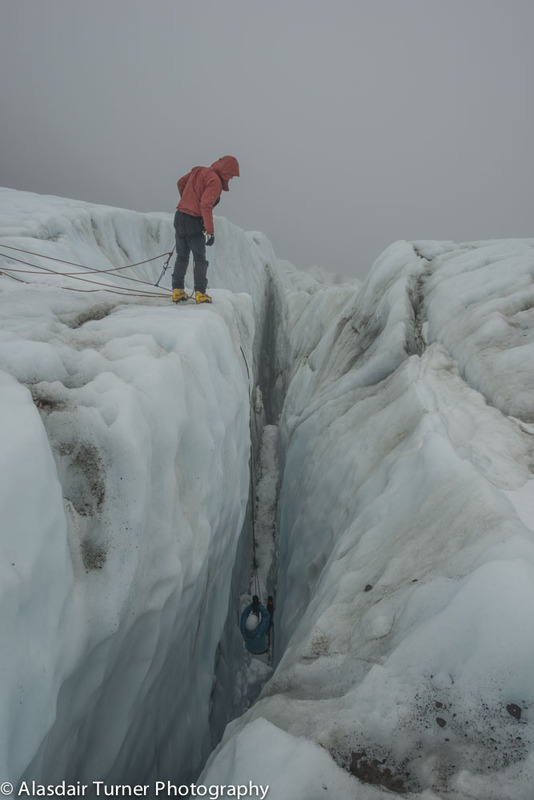 --Hansjorg Auer and Michael Mayr recently made the first ascent of a climb they called Sugar Man (M7, 85-degrees, A1, 2,500'). The route climbs a 7,500-foot peak they named Mt. Reaper. To read more, click here. --Eleven people have died after a powerful earthquake struck a Southeast Asian mountain. "Sad Day! I have just announced the recovery of 9 (additional) bodies by rescue teams," Malaysia's tourism minister Masidi Manjun said on Twitter. "Trying to get helis to bring them down. Fatalities to date: 11." Mountain guides have helped 167 climbers to safety after the quake stranded them atop Kinabalu, one of Southeast Asia's tallest peaks, according to the official Twitter account of the Malaysia Fire and Rescue. To read more, click here. --In a related report, Malaysian authorities have arrested a European man for allegedly stripping naked and urinating on Mount Kinabalu prior to a deadly earthquake, reports said. To read more, click here. --A Utah Department of Public Safety helicopter rescued a stranded hiker from atop a cliff in Little Cottonwood Canyon early Tuesday morning. To read more, click here. --There are already more than 1000 hikers on the Pacific Crest Trail this year. Many of them have read Cheryl Strayed's book entitled Wild or have seen the Reese Witherspoon film. They're call it the Wild effect. To read more, click here. --Unfortunately, like other law enforcement agencies, there are just some people who should not be given policing powers. This includes some law enforcement rangers. To read more, click here. --AAI guide and writer Shelby Carpenter has a new article out about how drones can help detect wildfires. Check it out, here. 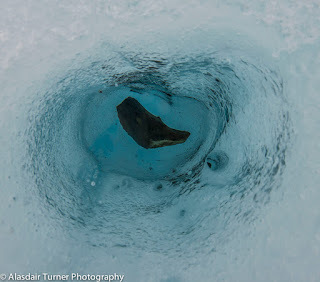 --Has the last person trekked to the North Pole? The ability to lockoff your arms right after pulling up is a key movement to steep climbing on both rock and ice. This video explores some workout techniques that you might use to train for this. Set-up a campus sequence using big holds. The goal here is to set-up a sequence where you can lock off each move for 3 seconds. 3 Campus sequences in the wall, with three sets and 90-seconds of rest between sets. You will climb up and down using this technique until you're brought to failure. Failure should happen in 20-40 seconds. If you can hold on longer than 40-seconds, change the holds and make it harder. --It appears that the car camping fees at North Cascades National Park will be increasing to $16 at the most popular campgrounds. To read more, click here. --On May 27, a 22-year-old from Colorado, died in rappelling accident after a 200-foot fall on the Nose of El Capitan. To read more, click here. --Stacking rocks is an art most climbers practice while sitting at crags or in parking lots post-session. Boulder resident Michael Grab does it for a living and now the cops have made it illegal! To read more, click here. Team 2 - After a successful summit. Everyone is back down and on their way home. 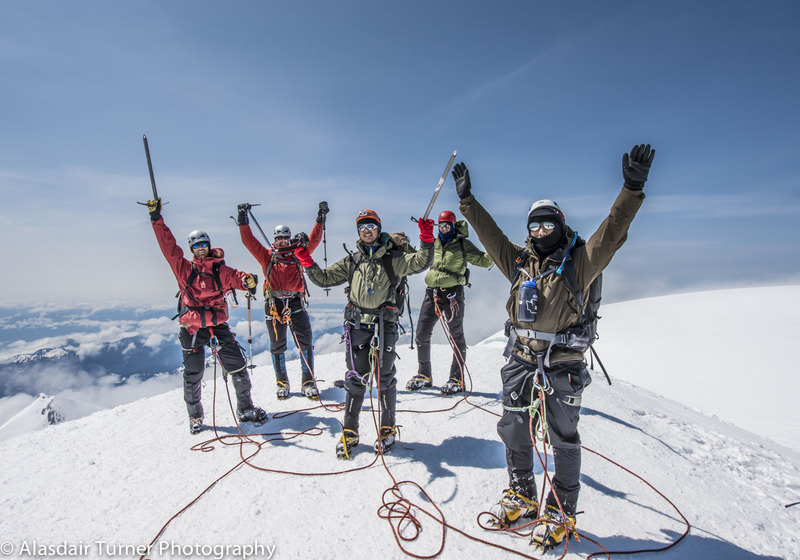 Team 3 -After a successful summit they have descended to Base Camp and are waiting to fly back to Talkeetna. Team 4 - Holding up at Camp 3 waiting out a weather system. They plan to move up to Camp 4 anytime. Team 5 - Move up to Camp 2 yesterday. Enjoying some down time after two big pushes up. All teams are doing awesome and everyone is high spirits and staying strong. GO TEAMS! -- The Pamirs, Tajikistan is one of the least visited places in the world and a haven for adventure ecotourism. In 2010 Quboniev founded Pamir Horse Adventure, a community-based ecotourism company that promotes and encourages sustainable tourism in the Pamirs. 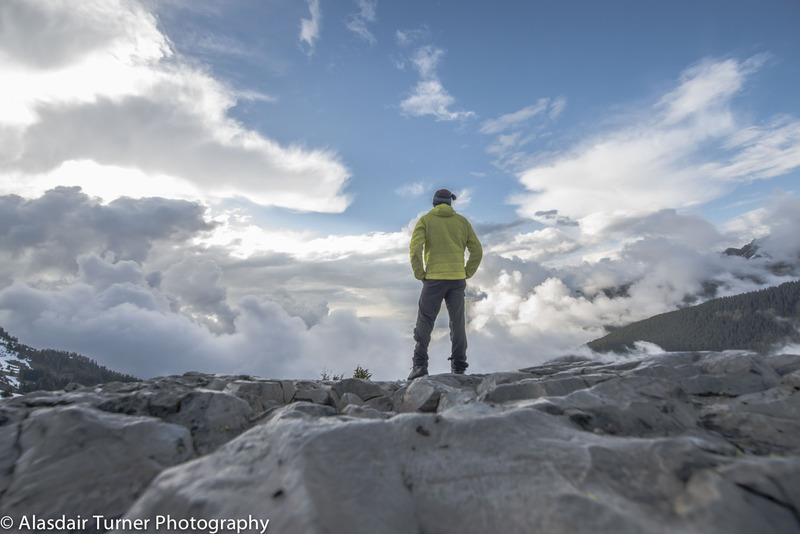 The organization was the recipient of the UIAA Mountain Protection Award in 2014. 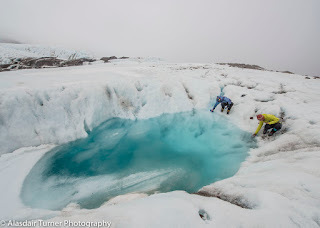 --The body of New Zealand teenager David Erik Moen was discovered at the foot of Tasman glacier 42 years after being buried in an avalanche. The body has been identified and returned to his family. More here. --Valley Uprising an American film that traces the recent history of climbing in the Yosemite Valley through interviews with living legends is the winner of the UIAA Award for Best Climbing Film at the Trento Film Festival. --11-year-old boy falls from rock-climbing wall at YMCA in Weston, FL. Family members say boy wearing harness when he fell. More here. 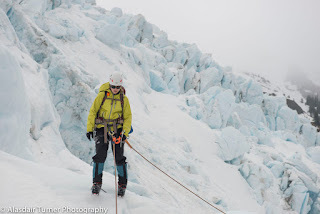 Two weeks I worked two back to back trips for American Alpine Institute. These two trips on Mount Baker are AAI's most popular trips and two of my favorite to work. 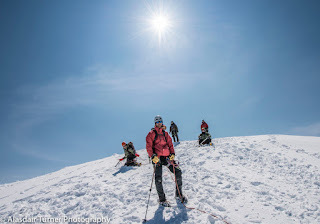 The AAI 6 day Alpinism 1 course covers the skills needed to climb a large glaciated mountain and then makes an attempt on the summit at the end of the course. Our trip did not have the best weather but we were able to cover all the skills we wanted to. Some photos of the trip are below. 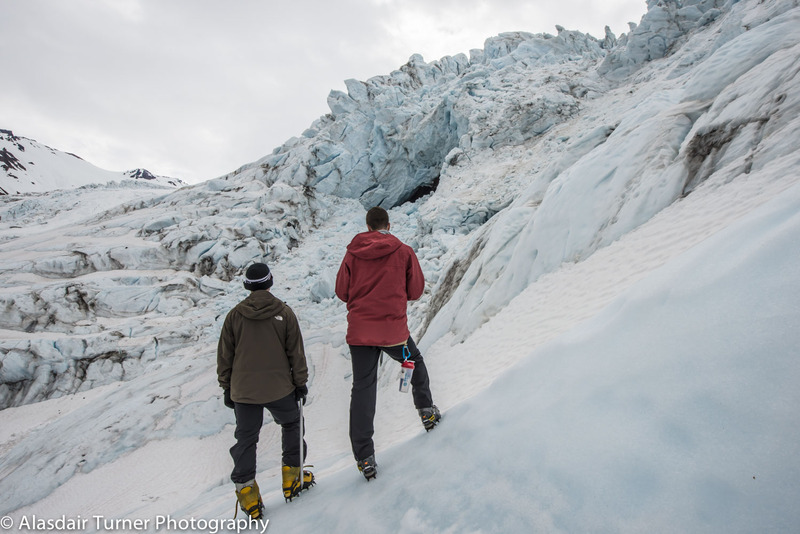 Walking on the Lower Coleman Glacier. Hiking over the glacier toward the icefall. Practicing roped team travel in complex terrain. White out navigation on the glacier. A perfect place to fill our water bottles. Checking on the victim while practicing crevasse rescue. Hauling the victim using pull systems. 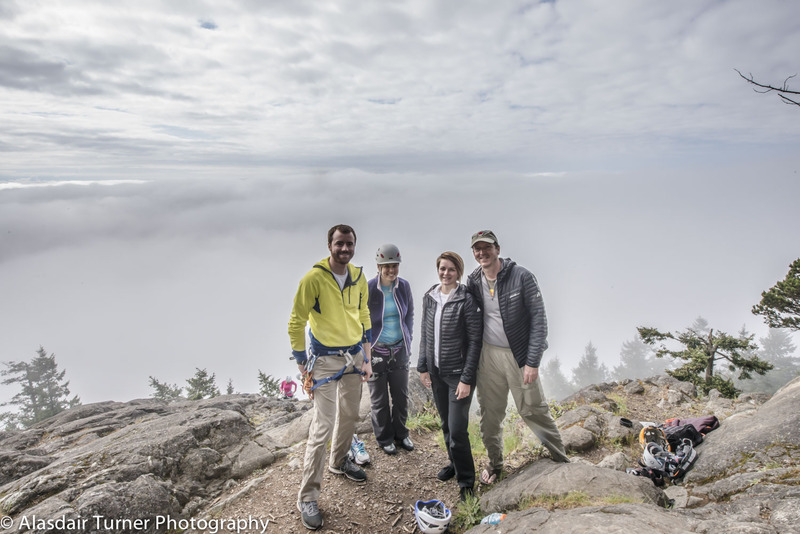 Rock climbing at Mount Erie. 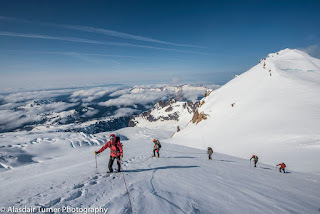 I started a Mount Baker skills and climb the day after the Alpinism 1. 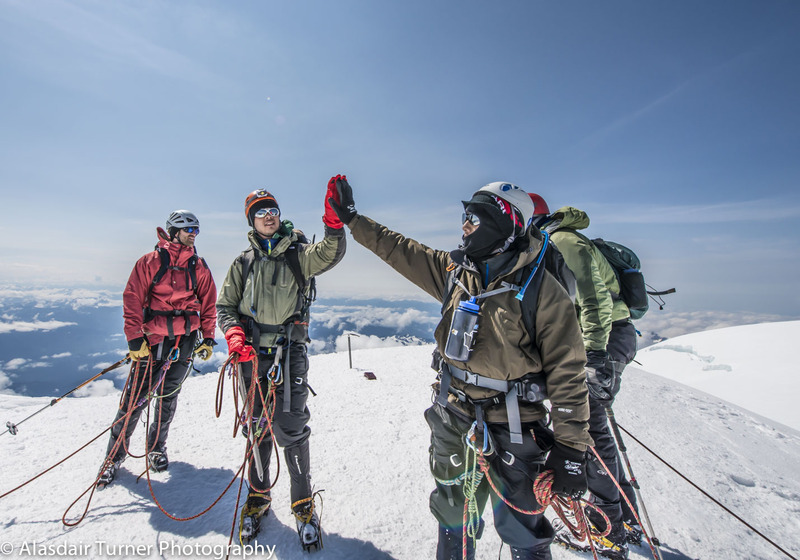 This trip is a three day course thats has the main goal of summiting Mount Baker, and the weather was looking good to make that happen.